Jaiwan Harris is the assistant director of business operations at the Center for State and Local Finance and Fiscal Research Center where he is responsible for financial management for more than 20-plus projects from multiple funding sources, such as state government, private foundations, continuing education, department sales and service, and other universities. He is also responsible for all human resource personnel records and all documentation necessary for posting and hiring of new positions, maintaining personnel records for the departments, maintaining the department’s’ budgetary records, as well as providing budget analyses and projections for the department’s’ state appropriated fund. 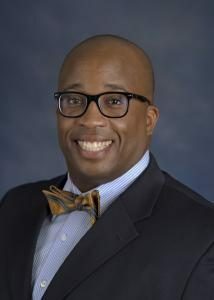 He joined the Andrew Young School in 2004 and has served as the business manager for Domestic Programs and the two fiscal research centers. Harris received his bachelor’s degree from Morehouse College and a master’s degree in community counseling and psychological studies from Clark Atlanta University.